Myrna Harris has a career spanning 30+ years as an administrator, special educator, teacher, and leader in a variety of settings: hospitals; residential treatment centers; and urban and suburban school districts. For 20 years she was a member of a Westchester School District Committee on Special Education, has served as the Special Education Department Leader, and for 15 years served as the Chairperson of The Subcommittee on Special Education. Myrna began working as an Independent Educational Consultant in 2007, serving clients with learning differences and therapeutic needs prior to founding HarrisKramer Associates. She has had the privilege of serving hundreds of struggling families during her professional career. Myrna has a strong collegial relationship with many professionals in the metropolitan area and has been invited to be a panelist at professional forums, as well as speaker at parent-sponsored gatherings. Myrna takes time with her families. Those wanting an expert professional who is comprehensive and compassionate find Myrna through a network of caring referrals. 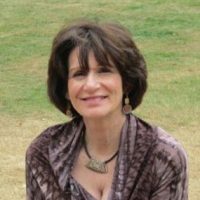 Myrna holds a Masters degree in Special Education from Fordham University, as well as a post-graduate degree from Columbia University Teachers College in Education and Educational Administration and Leadership. She is a New York State certified Special Education teacher and a New York State School and District Administrator with additional training in Life Space Crisis Intervention. As an Adjunct Instructor of graduate and undergraduate Special Education courses, and a speaker to both educators and parents, she has given numerous national, state and local workshops and seminars on meeting the instructional and behavioral needs of students with challenges. Myrna belongs to the Institute of American Certifed Planners and holds the designation as a “Certified Educational Planner.” Her other professional organizations and affiliations include the Therapeutic Consultants Association (TCA- professional member), National Association of Therapeutic Schools and Programs (NATSAP), and the Independent Educational Consultants Association (IECA). Myrna served in an advisory role to the Board of Ramapo for Children, as well as the Asperger Syndrome Training & Employment Partnership (ASTEP). What distinguishes Myrna is the passion and commitment she brings to her clients.